I got my first tattoo when I was 21 or 22, can't quite remember. I wanted to get something meaningful for me as a Muslim. It occurred to me that I should probably start with "Bismillah-ir-rahman- ir-rahim", this is the Muslim invocation we make before we start anything. It signifies our intention to do something. I had the Arabic calligraphy designed as a swan, and it sits quite comfortably on my right breast, so it's always close to my heart. What is it that draws you to getting tattoos? Tattoos explain my provenance to anyone who cares to know. They tell my story and my journey. I've marked certain stages in my life with tattoos. I enjoy the healing process of being inked. I like the reaction from my tattooist when I commission her to do a new piece. I’ve really enjoyed working with my artist and travel quite far in order to be inked by her and only her. The specialness of that relationship is also a unique aspect of the attraction to being inked. My fabulous tattooist is the lovely Kerry Irvine, who is based at Modern Electric Co in Longbridge, Birmingham. "I really think God has bigger fish to fry than to worry about how many tattoos I've got." What stages of your life have you marked with your tattoos? I’ve marked end of chapters, emotional traumas and new beginnings. In this way my ink serves as a rites of passage in my adult life. A few of my tattoos relate to the end of quite a depressive period. I had to remind myself that I’m a lot stronger than I gave myself credit for and that it is possible to recover from emotional trauma. But it takes time. I read a lot of Margaret Atwood during this time and one of my favorite quotes from a fictional character Offred - "don’t let the bastards grind you down" - really resonated with me, so I had that inked across my back. People have quite strong reactions to this one, especially men as they are disturbed by the word 'bastards', which is amusing. 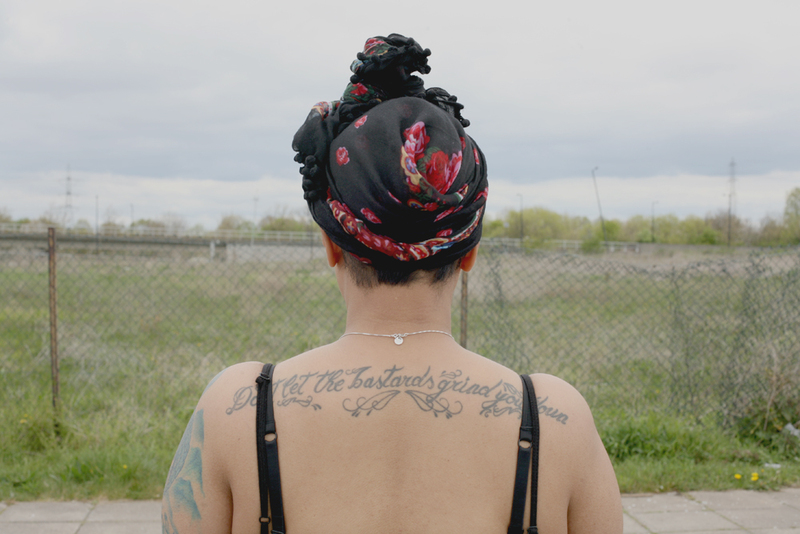 Has religion played a role in your relationship with tattoos? It has and it hasn't. 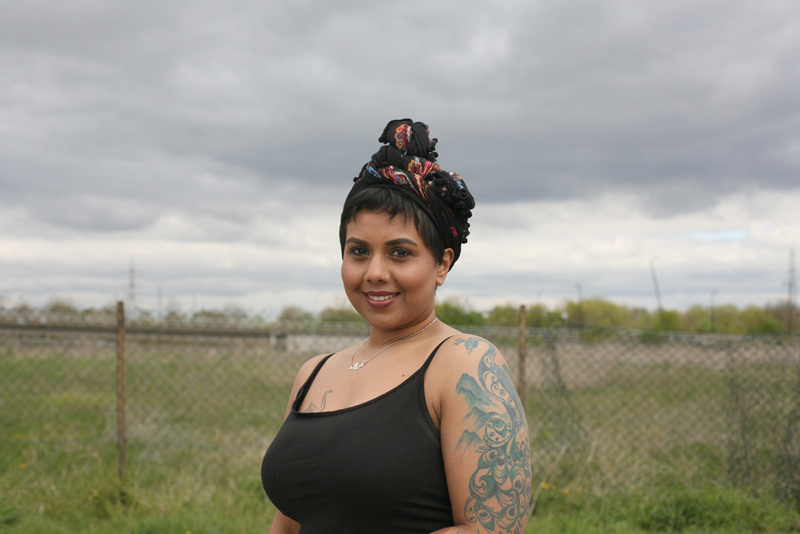 Allegedly tattoos aren't permissible in Islam, but across some Muslim communities in the the Middle East, tattooing is a marker of their identity. I've had some negativity from other Muslims who are shocked by my ink. But I've also had the same reaction from practising Christian friends too. I really think God has bigger fish to fry than to worry about how many tattoos I've got. If you had to single one out, which of your tattoos would you say means the most to you and why? The one that means the most to me is probably the one that I don't see very often as it sits across my back from shoulder to shoulder. It's the quote from Margaret Atwood's The Handmaid's Tale: "Don't let the bastards grind you down." I'm a cynical optimist, so this sums up my attitude to life's ups and downs. I love my skin and I take care of it. Coming from Bengali stock, I was brought up knowing how to moisturise my skin with coconut oil everyday. The ink that sits on my skin augments how in love I am with my skin! It's really inspiring and refreshing to hear you speak so positively about your skin and body. 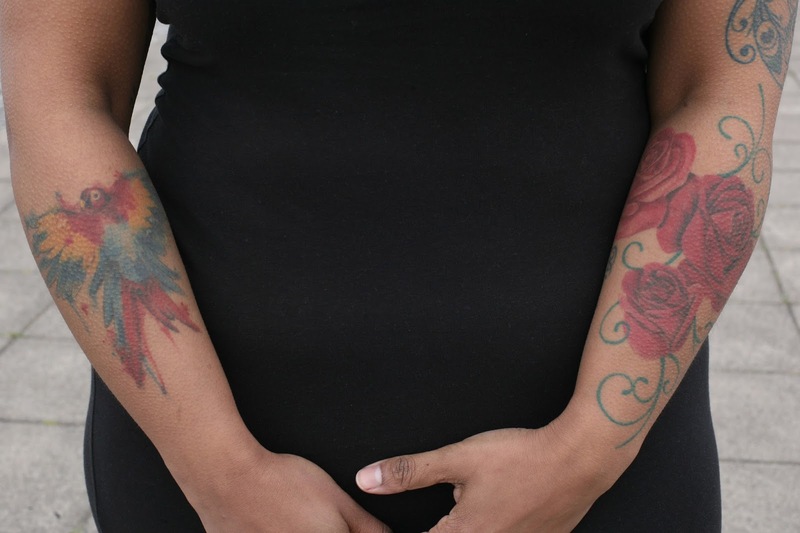 Do you think that your tattoos play a role in feeling confident? To some extent my tattoos play a role in my self-confidence, but most of the time they are covered, so it’s not like anyone can see them unless they are exposed. I don’t see my tattoos as fashion, they are art to me so as mentioned before, I look after the canvass (my skin) and the art. Tattoos are often judged for their permanence. How do you feel about that aspect of them? It’s strange that people feel that they can judge others for the choices of tattoos. I’m sure a lot of people don’t think clearly about the permanence of, say, having a unicorn tattooed on their ankle when they are 17, but who cares? Fundamentally it’s their body, they have agency over their bodily autonomy, it’s not for anyone to judge, as their tattoos aren’t harming anyone. I like the fact that if I live to be 70, I will have this extraordinary artwork on my body which I have maintained to a high standard. That’s the flipside of people who have tattoos and don't look after them, because they don’t see them as art. I relate to my tattoos as art, therefore I’m going to work hard to maintain them. You wouldn’t let a Caravaggio sit in a dusty old corner and grow mold.